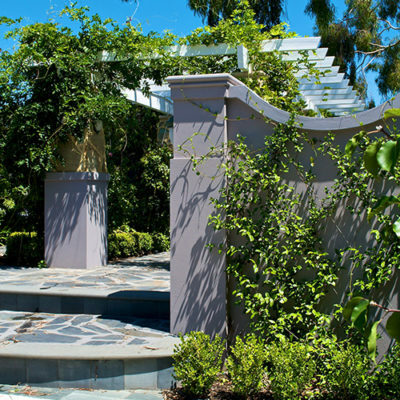 This new home built on a long narrow site created numerous compact garden spaces. 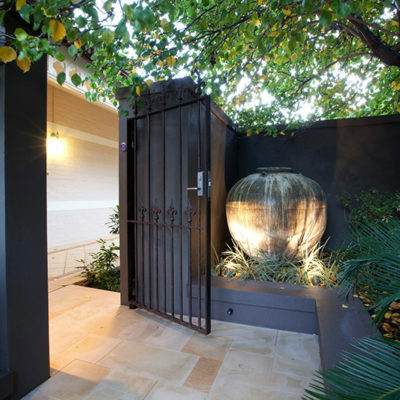 The entry to the home is at the side rather than the front so a panel of large corten steel architectural screens direct visitors to the front door. 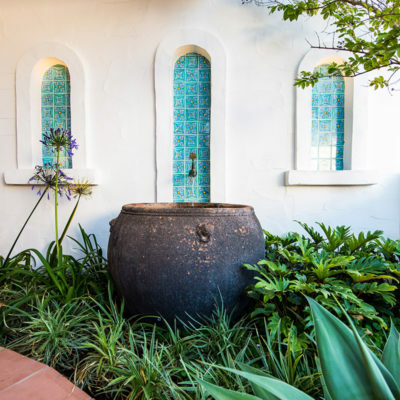 The overflowing bowl spills into the square water reservoir and this is visible from the master bedroom. 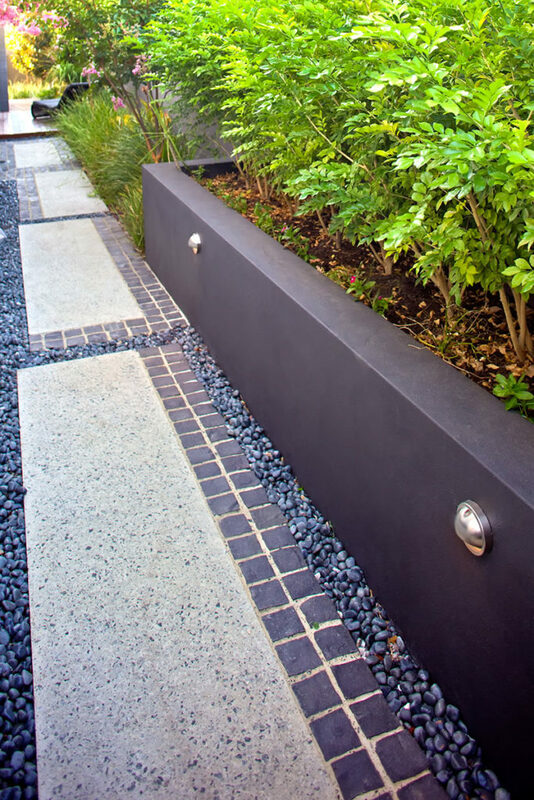 From here the pathway is a textural journey created with a mix of gravel, cobbles and washed aggregate concrete elongated steppers. 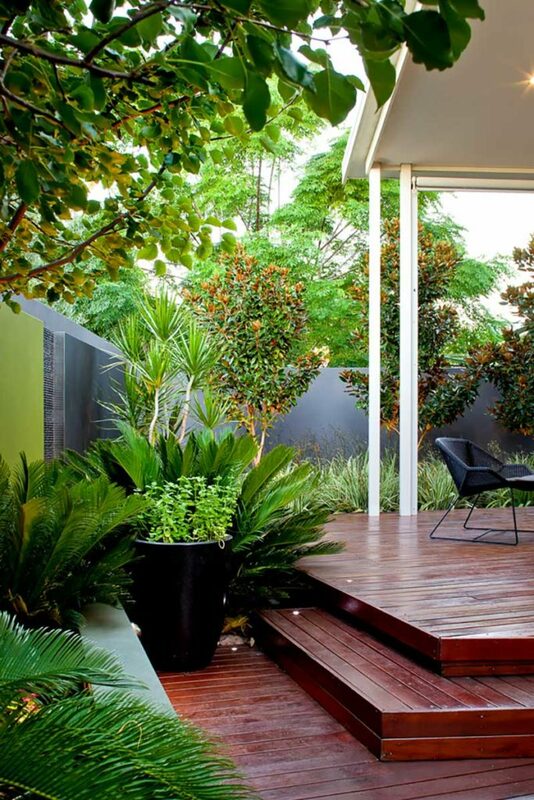 The decking was designed with a number of intersecting angled layers leading to the rear entertaining area. 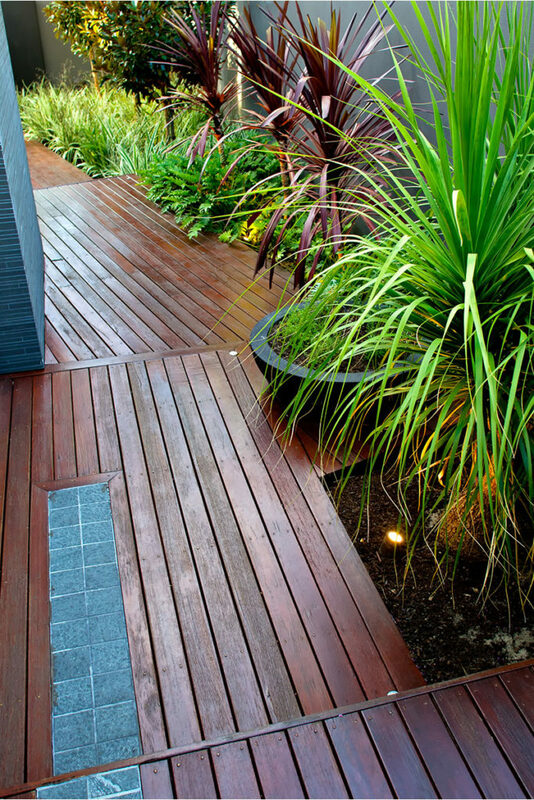 Here the decking is angled again to emerge over the garden towards the stone water wall. 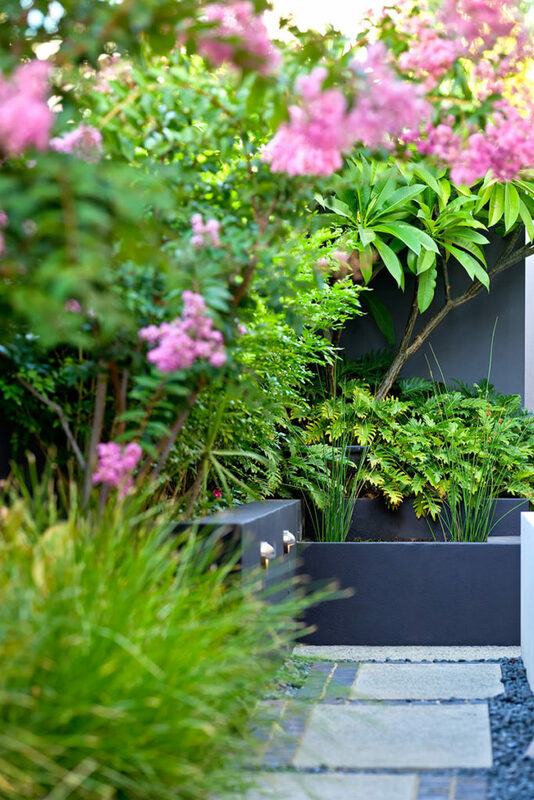 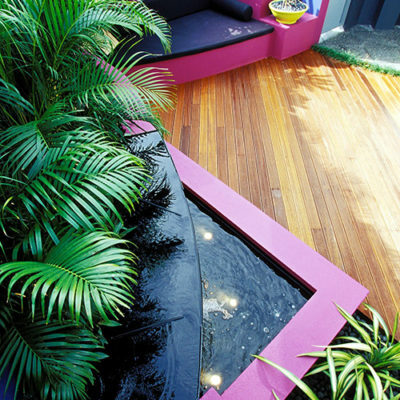 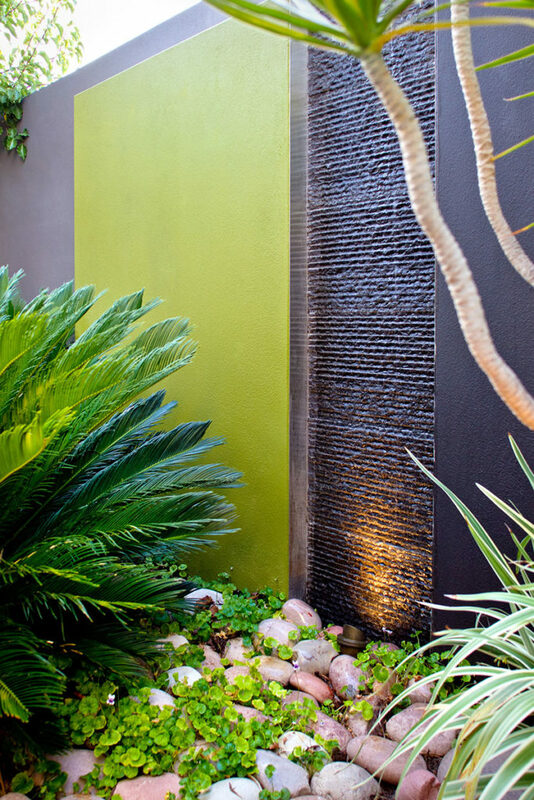 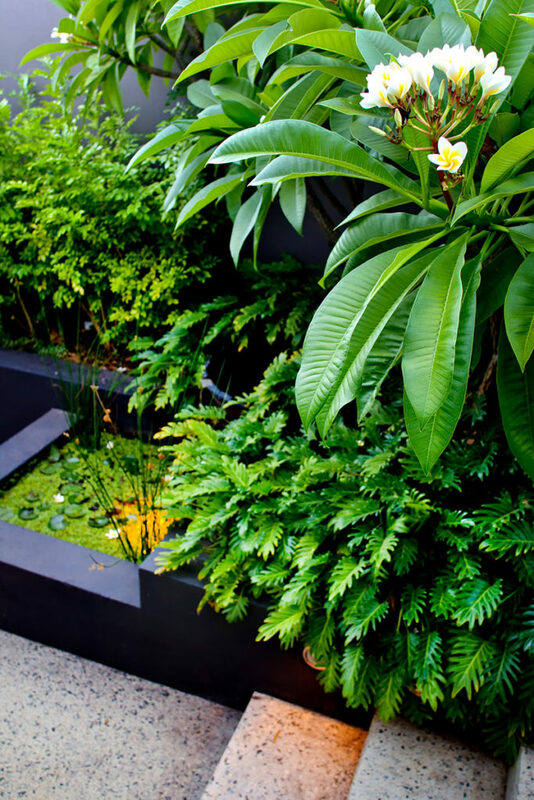 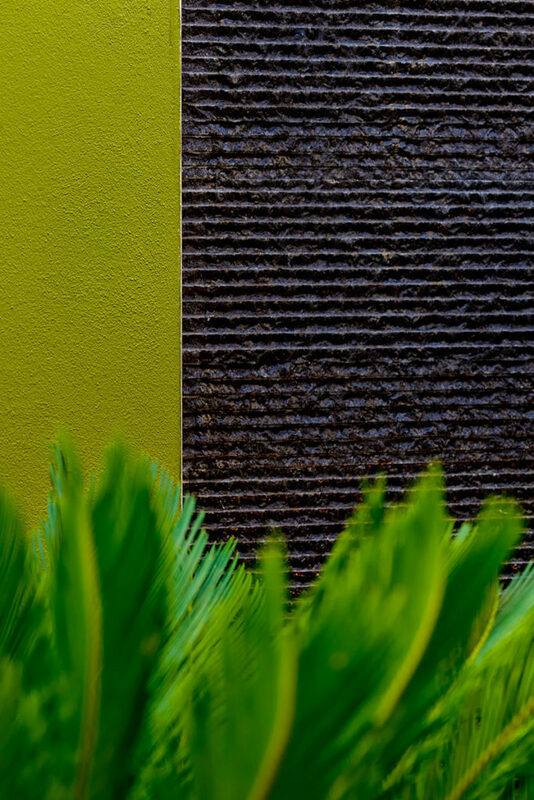 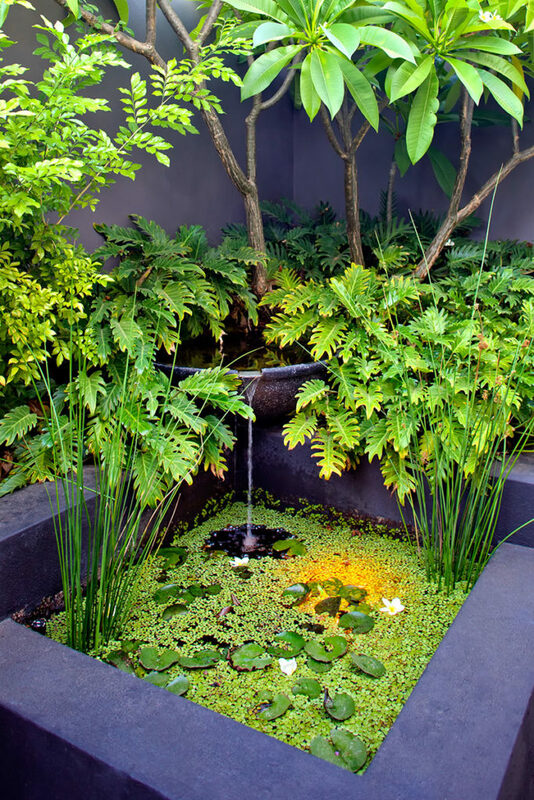 The lime green and charcoal walls create a striking foil for the lush green planting.